On Monday, Shanahan released a statement saying, “The Department of Defense is fully committed to reform, a pillar of the National Defense Strategy. With a reform mindset, the department is changing acquisition rules and regulations. Recently, proposed amendments to the Defense Federal Acquisition Regulation Supplement were prematurely released, absent full coordination. "As a result, the department will rescind the proposed amendments” and work with stakeholders on a revised ruling. The Pentagon also justified the change by saying it would “eliminate the unintended consequences of not updating its contract financing policies (which, in turn will save hundreds of millions of dollars for the taxpayers), will improve contractor performance, and will distinguish and meaningfully recognize high performing companies and divisions of companies.” It requested comments by Oct. 23. 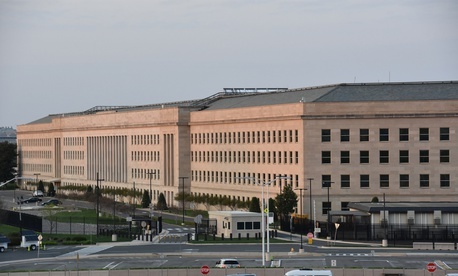 At a Sept. 14 public meeting at the department, the Professional Services Council, which represents 400 contractors, said the plan “creates inconsistencies” within the NDAA. “In addition, criteria in the proposed rule to potentially increase the percentage rate of progress payments introduces huge variables for both government and industry, introduces components that are unrelated to contractor performance, and includes subjective criteria for government decision-making over which a contractor has little control,” said the group’s counsel and executive vice president, Alan Chvotkin. Similar objections came from Wesley Hallman, senior vice president of policy at the National Defense Industry Association. Image via Ritu Manoj Jethani/Shutterstock.com.